★ determine whether the fan is DC or communication. ★ fan supply voltage value. For example: AC 220V, 110V, 380V. DC 5V, 12V, 24V, 36V, 48V. ★ fan bearing form, ball or oil. ★ fan air volume, speed. For example, how many cubic meters per minute, or how many cubic feet per minute. The traditional DC brushless fan motor design, is the fan rotor (referred to as the rotor) and its axis through the oil bearing, referred to as SLEEVE bearings, pivot fixed in the center of the motor stator, the rotor and the stator to maintain a proper The gap between the shaft and the bearing must also exist between the gap, it will not die deadlock and can not run; and the motor stator structure part (referred to as the stator), after the power input, the rotor and the stator Between the induction magnetic field lines, and the control of the drive circuit to run the fan motor. Therefore, the traditional fan motor structure, only a fan rotor and a motor stator and a drive circuit, and by the hub and the bearing of the hub, with the magnetic field induction and operation. B. Cheap (compared with the ball bearing, the price difference is very large. A Motor running shaft and bearing friction generated by the high temperature gas, due to the bearing at both ends of the oil ring, the Chinese Division hindered, can not rule out the formation of nitrification, easy to block the shaft and the bearing gap, hinder the smooth operation of the motor. Ball bearing is the use of round metal beads running, belonging to the point of contact, it is easy to activate the operation. Coupled with the ball bearing with the use of the spring, so the spring bracketing BALLBearing outside the metal ring, leaving the weight of the entire fan rotor is located on the ball bearing, and indirectly by the spring brace, it can be used in different directions , The angle of the portable products, but still have to prevent falling, so as not to damage the ball bearing, resulting in noise and life with the damage. C. Longer service life (compared to oiled bearings). A Ball bearings use the flexibility of the spring and make it more difficult to assemble. According to the right-hand rule, the conductor through the current, the surrounding will produce a magnetic field, if the conductor placed in another fixed magnetic field, it will produce suction or repulsion, causing the object to move. Inside the fan of the DC fan, attach a magnetized rubber magnet in advance. Around the silicon steel sheet, the axis part of the winding two sets of coils, and the use of Hall sensor components as a synchronous detection device to control a group of circuits, the coil to the axis of the two groups of turns working. The silicon steel sheet produces a different magnetic pole, which produces a repulsive force with the rubber magnet. When the repulsion is greater than the static friction force of the lice fan, the fan leaves naturally. As the Hall sensor module provides a synchronization signal, the fan leaves so that it can continue to operate, as to its direction of operation, according to Fleming right hand rule. AC fan and DC fan difference. The former power supply for the exchange, the power supply voltage will be positive and negative, unlike the DC fan power supply voltage must be dependent on the circuit control, so that the two groups of turns to work to produce different magnetic field. AC fan due to power frequency fixed, so the silicon steel chip to produce the magnetic pole change speed, determined by the power frequency, the higher the frequency the faster the magnetic field switching speed, theoretically the speed will be faster, like the number of DC fan pole more speed faster principle same. However, the frequency can not be too fast, too fast will cause activation difficulties. The noise of the fan is measured in background noise less than 15 dBA without reverberation. The fan to be tested runs in free air and dispose of a noise meter from the air inlet. Atmospheric pressure; atmospheric pressure equal to 760mmHg at 0 ℃ dry state pressure. Air volume, Air quantity (Air volume, Air quantity), usually Q (m * 3 / min) for the amount of gas in the inhalation of air called air volume, fan, also known as air volume. (Capacity) gas according to its pressure, temperature and change the volume, so mention the amount of air discharge, be sure to note the pressure and temperature of the place, so called the amount of air intake. The IP rating is a set of physical criteria defined in IEC 60529 (BVSEN 60529: 1991). IP levels are expressed as two digits (eg IP55). The first number defines the protection level of the contact and the particles, and the second number defines the protection level for the water. The permissible temperature rise is based on the reference ambient temperature of 40 ° C. The operating temperature is the reference ambient temperature + the allowable temperature rise + coil allowance "hot spot". The following example temperature tolerance rating F: 40oC + 105oC + 10oC = 155oC. General motor operating temperature should not be used on top of the maximum, every rise of 10oC may cause the motor life to be reduced by half. Temperature Tolerance Level B is commonly used for 60 Hz and US motors. Temperature Tolerance Level F is commonly used for international and 50 Hz motors. 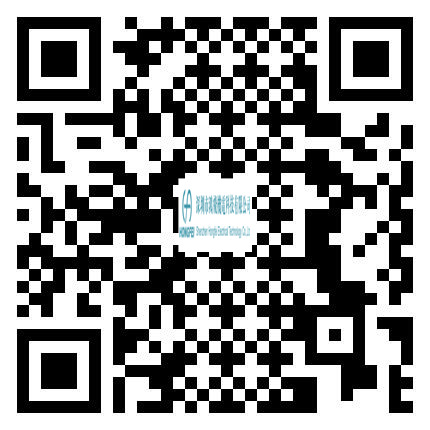 Company name: Shenzhen Hongfei Electromechanical Technology Co. Ltd.